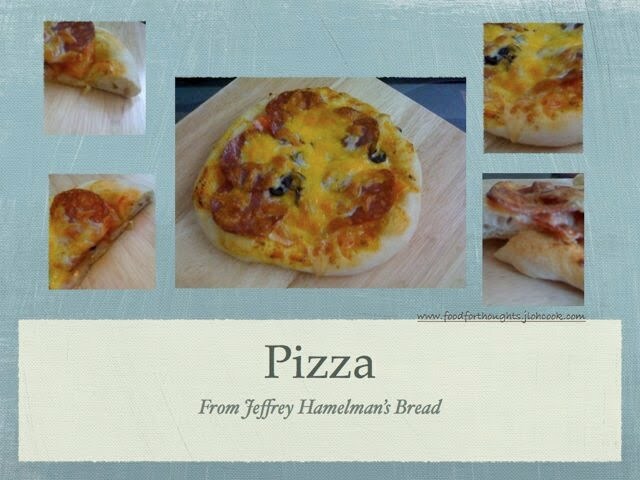 from Jeffrey Hamelman's Bread Book. This is our June's challenge at www.mellowbakers.com. 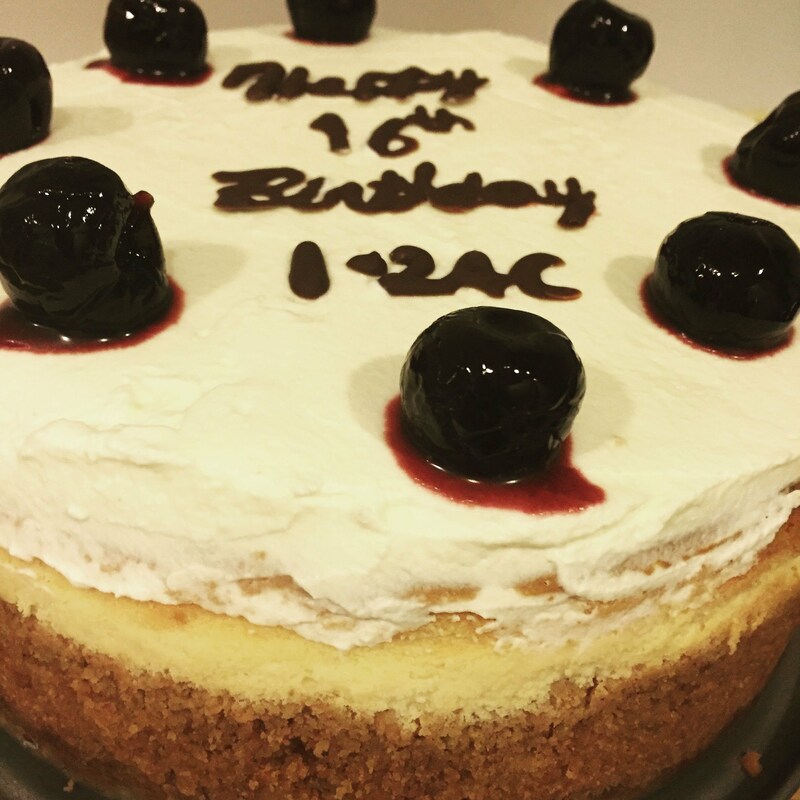 Again, I used half the ingredients in the book. I'd be traveling again, and I don't think anyone in the family care to make their own pizza when I'm away. I had better finish what I make. I always thought pizza is difficult. It is a pleasant surprise for this recipe that it went very very well and not too difficult. I just got back from a trip, reached home quite late at night. However, I wanted to make pizza for lunch on Saturday. I've studied the recipe for awhile now. Putting the biga together, mix well, knead a little, and transfer to a small bowl, cover it and set aside on table top. The temperature in my kitchen was about 22 degree celsius. After 11 hours, the biga looks ready. I mix the final dough except the olive oil, and biga. After mixing up, I added the biga, mix well. Then add in the olive oil. The dough became really smooth. Put aside for 1 hour and do a stretch and fold. after the 2nd hour, stretch and fold and divided the dough by 3 at 150g each. Roll into ball and set aside for 20 minutes. Turn on the oven at 250 degree celsius. At the same time, I set aside the parchment paper and put it on a peel. Throw some flour on the parchment paper and started to press the dough flat, lift it up and stretch the dough. It is quite difficult to make the pizza round. Stretch till its quite thin and ensure that the sides are not flattened at all. For the toppings, put the tomato sauce first, put the salami, then tomatoes and olives, and the cheeses. Steam the oven, and slide the dough quickly on my pre-heated oven with the iron cast skillet. The book didn't write how long I should bake, but well, it's pretty thin, I assume 10 minutes is sufficient. And it was perfect. We had this for lunch, with a roast chicken, it was gone within minutes. The size was perfect, and it was not enough. I did a 2nd one for my son. 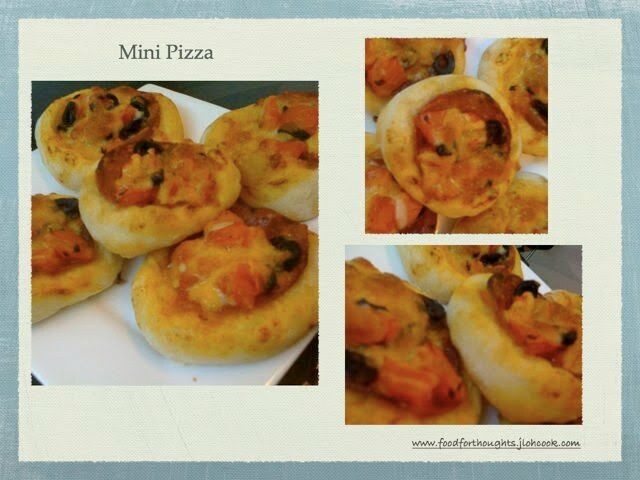 By the 3rd dough, I decided to make mini pizza, so that my son could share with his friends, each weighing 30g. Make sure that these were all ready as you want to put these all together very quickly.